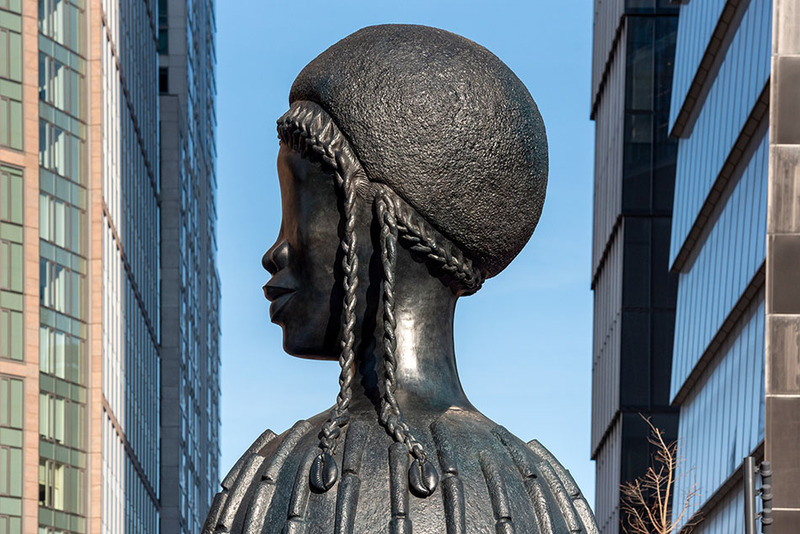 The 16-foot tall bronze bust of a Black woman, has a skirt resembling a clay house. 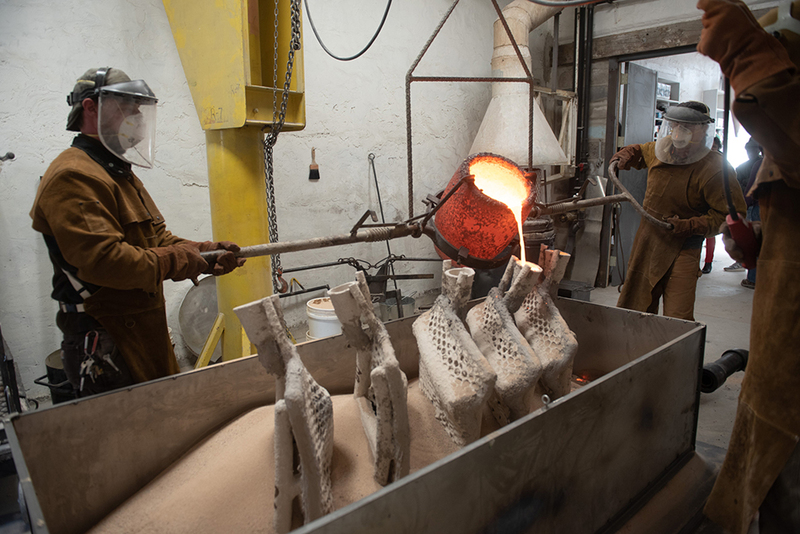 The sculpture is infused with the architectural concepts and processes taken from West Africa as well as the American South: the Batammaliba architecture from Benin and Togo, the Mousgoum people of Chad and Cameroon, and the restaurant Mammy’s Cupboard, in Natchez, Mississippi. Leigh designed and constructed this massive work through a complicated and fascinating multi-step process that pays homage to these “architectures of anatomy”. 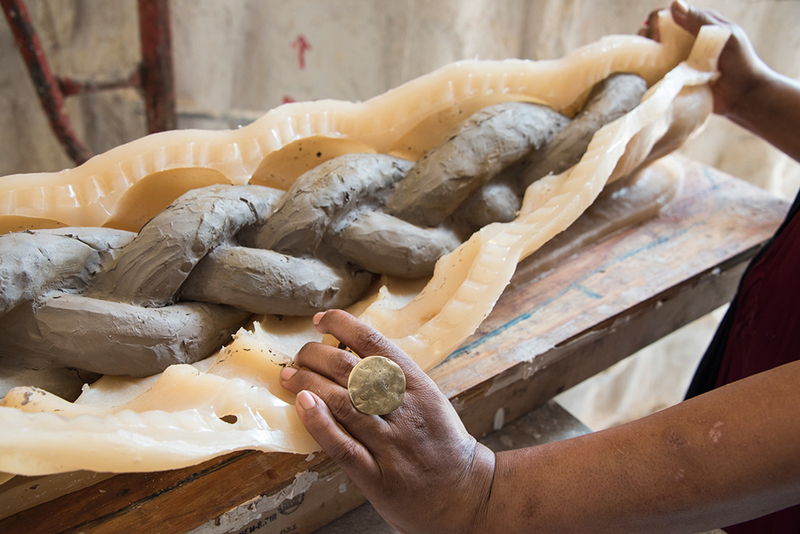 The work’s hanging braids were inspired by Thelma, the daughter on the 1970s television show Good Times. 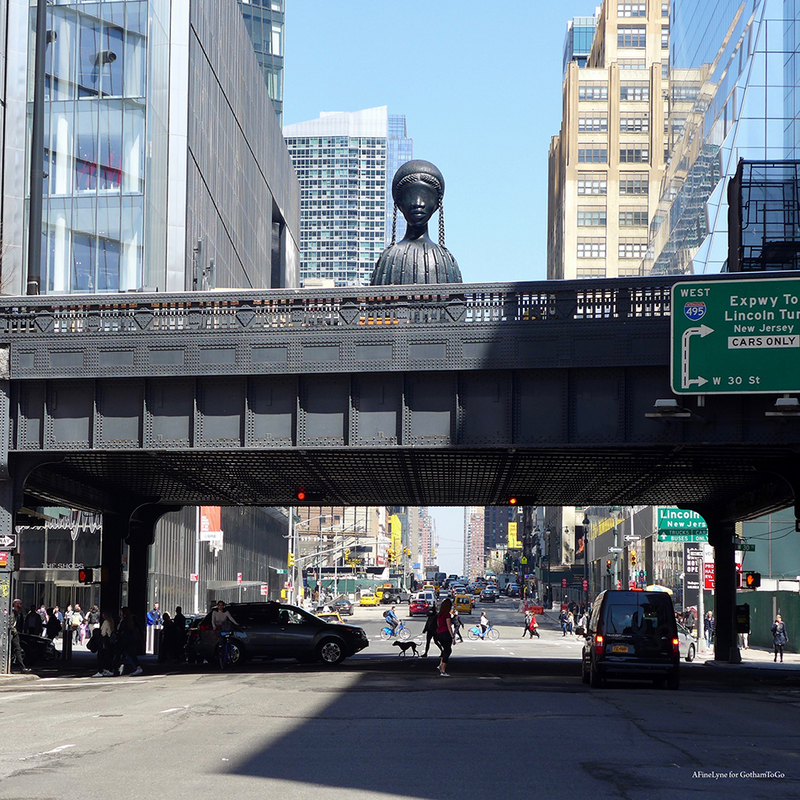 The High Line Plinth will be a new destination for public art when it opens in June, 2019. 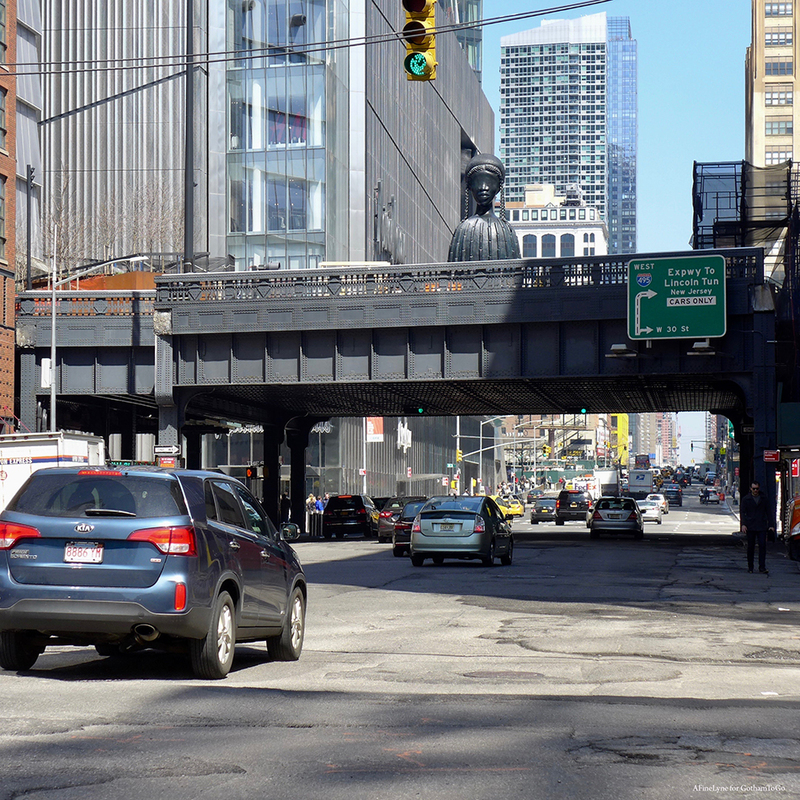 It is designed as the focal point of The Spur, the newest section of the High Line, which will act as a natural gathering space with The Plinth serving as an anchor at the center of this piazza. It is inspired by the Fourth Plinth of Trafalgar Square in London, the large scale and high visibility of The Plinth offers artists a unique platform to inspire a diverse public audience. 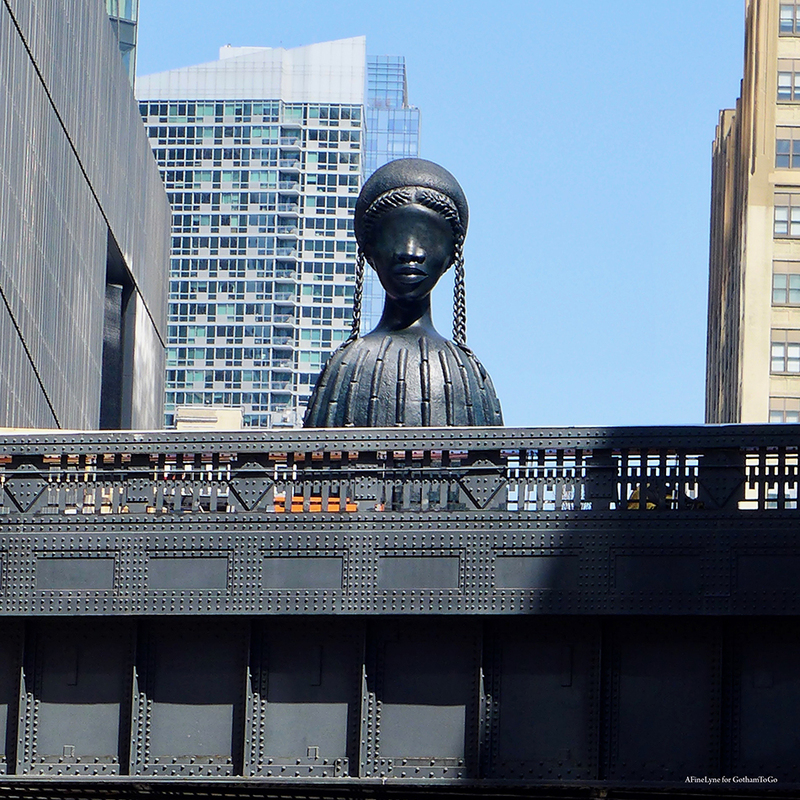 The inaugural High Line Plinth was initiated by an international advisory committee of 13 artists, curators, and art world professionals who each submitted recommendations of artists to invite to submit a proposal for the Plinth. Twelve proposals were then selected from the initial group of fifty. 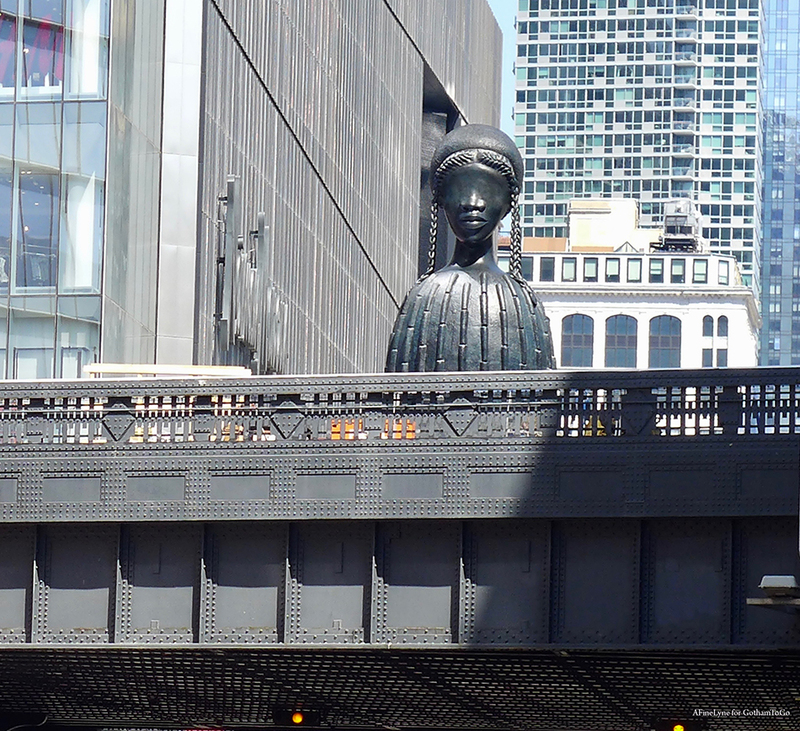 Simone Leigh’s Brick House, known as Cupboard VIIin the proposal stage, was ultimately chosen as the inaugural High Line Plinth Commission. Brick House will be unveiled at the opening of The Spur in June, 2019 and will remain on view through September 2020 ~ located on The High Line at 30th Street. While you’re there, check out The Shed, The Vessel and The Edge.